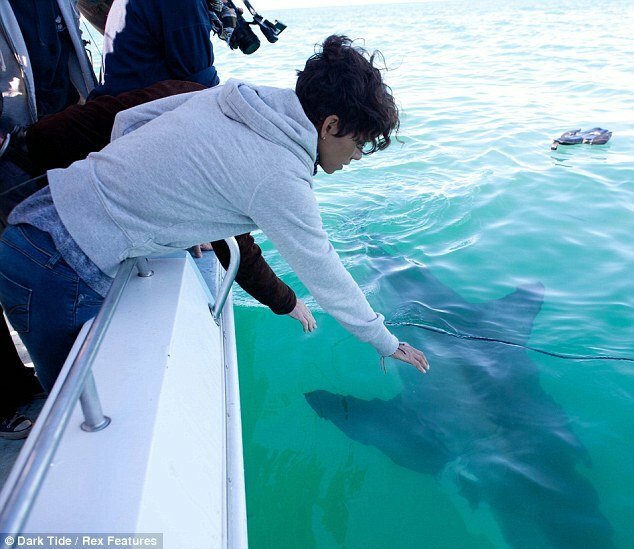 Halle Berry is seen having close encounters with great white sharks in behind the scenes footage of her movie Dark Tide. Halle Berry, 46, is pictured reaching out to the ocean predators while leaning over on the edge of a boat and she even got to touch one in the wild. “Apparently, I’m one of the very few people who have done that,” she has said. Halle Berry, who filmed the thriller in Seal Island, False Bay in South Africa, stars as diving instructor Sara, who faces the difficult decision of getting back into the water following a near-fatal great white shark attack. She also swam with sharks for the part, but insists she never put herself in harm’s way. “I got into the same water as the sharks. Was I scared? Yes. But I never put myself in harm’s way because I’m a mother and there are certain things I just would not do any more. “I spent some time with a man known as the shark whisperer; my character is modeled on him.